On Thursday, defenseman Nate Guenin was returned to the place he spent the majority of his first seven years of professional hockey. 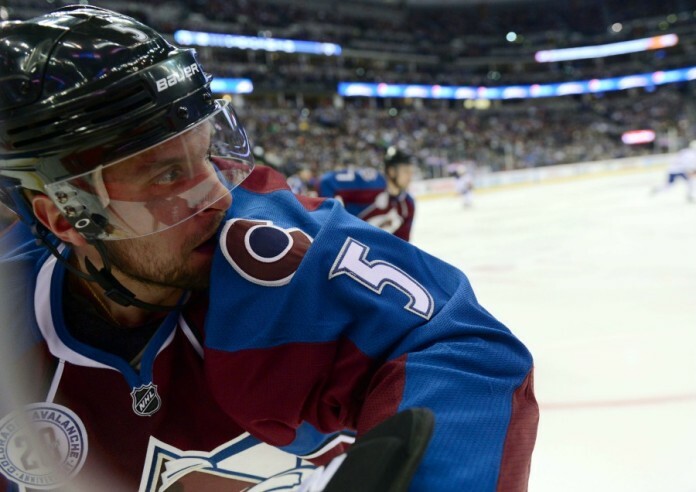 Though, it is also a place he had yet to see since joining the Colorado Avalanche three summers ago. Having cleared waivers for the second time in the past five weeks, Guenin was sent to the AHL’s San Antonio Rampage. The move was needed to clear a spot for the return of goaltender Reto Berra from injured reserve. Berra will coincidentally be joining Guenin in San Antonio for a two-week conditioning stint, during which he will count against the Avalanche’s 23-man roster. For Guenin, the Rampage represents an opportunity to play. 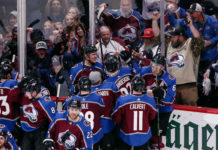 Having fallen behind Chris Bigras, Andrew Bodnarchuk and Zach Redmond on the Avs’ defensive depth chart, the 33-year-old veteran has not suited up for the burgundy and blue since Jan. 12. Guenin has been held scoreless in the 29 NHL games he has played in the 2015-2016 campaign. His possession numbers were also the worst of any of the team’s defensemen. Though Guenin has not made much of an impact on the ice for the Avs, his presence will be missed in the locker room, where he is well liked and respected by his teammates. According to Executive Vice President of Hockey Operations/General Manager Joe Sakic, the team may address their blueline before the NHL trade deadline at the end of the month. One possible bargaining chip the Avalanche will have will be Berra, who played well this season prior to suffering an ankle injury. 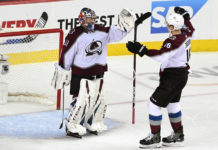 In 14 games, the 29-year-old Swiss netminder has posted a goals-against average of 2.41 and a save percentage of .922, both of which are the best of any of the four goaltenders the Avs have used this season. 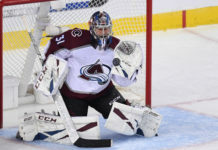 With Semyon Varlamov and Calvin Pickard (who will be a free agent this summer and will likely be seeking a one-way contract) also on the roster, the Avs suddenly have options at the position.